When adding eggs to scratch cake batter, why are you supposed to add them one at a time? When making a cake from scratch I have always added my eggs one at a time, mixing in between each, because this is how I learned from my mother. I just can't remember why this is supposed to be beneficial. Does anyone know why this should produce a different result than adding them all at the same time? The key thing here is a substance called Lecithin and it is found in your Incredible, Edible Egg! in the service of creating a stable emulsion of liquid and fat in the batter. When this is done correctly, the cake will have a springy, even crumb, great flavor, and light texture. If the batter is not properly emulsified, the resulting cake can be uneven and flat, flavorless, and have a heavy texture. It's even possible for the cake to "fall" or sink into itself when baking. 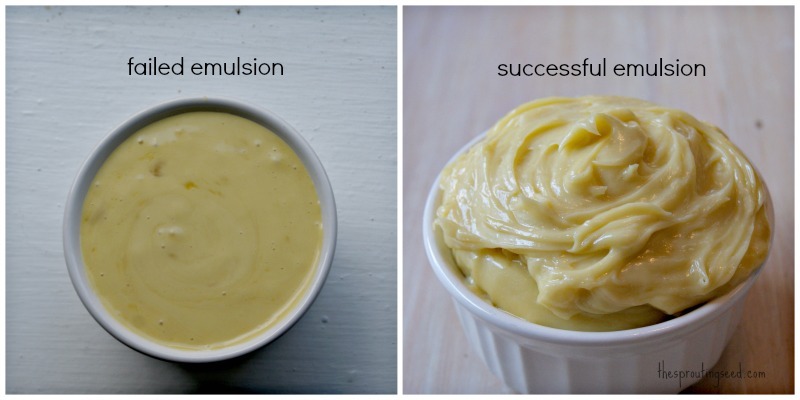 An emulsion is the suspension of small globules of one liquid in a second liquid with which the first will not mix, such as oil and vinegar. To create an emulsion, we slowly add eggs to the butter mixture, one at a time, beating rapidly to suspend the water from the butter and egg whites in the fats from the butter and egg yolks. Lecithin, an emulsifier found in eggs, helps to stabilize the emulsion, as does aeration from steady, rapid beating. Adding the eggs slowly makes it easier disperse the liquid, and promote even suspension of liquid in fat. So to recap, liquid and fat do not mix together. The egg has Lecithin that acts like a bond that keeps those 2 together. By flooding the mixture with the substance that will act like a binder (egg), you actually make it harder for all the water in the butter / eggs to bind to the fat in the butter / eggs. Take note that in this picture, the oil to make the mayonnaise was added too fast in the failed picture. 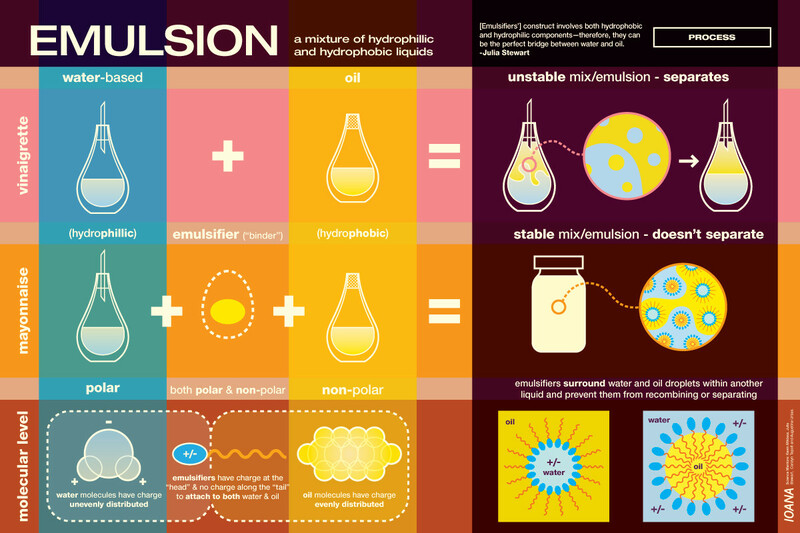 Take a look at thesproatingseed.com link below for even more information on emulsion! Not the answer you're looking for? Browse other questions tagged eggs cake batter or ask your own question. Why add in the eggs last when making chocolate chip cookies? What can I do with super runny icing? Can “low fat” eggs have an impact on meringue formation?